Compact Cleansing offer specialist rug cleaning services which includes fine rug cleaning. Our service includes the collection of your rug, careful cleaning and specialist drying with air movers. Professional rug cleaning will not only revitalise your rugs but also prolong their life span. Delivery of your perfectly cleaned rug! 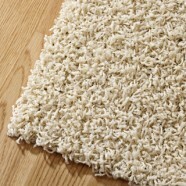 Compact Cleansing can also apply stain guard to your rug. The stain-guarding service provides a protective shield that helps to repel liquid, dirt and grime, giving you time to clean spills and prevent staining. Find out more about the stain guard service.